Mousehole Christmas Lights are a staple in every Cornish festive period. The popular display of lights fill the harbour with various shapes in lots of colours, but the village is also full of strings of lights so the whole place is lit up and is quite a spectacle. The lights are switched on around the middle of December every year. The switch on is a family fun event and from that event the lights are then on daily until around the first week in January. For exact dates for this year’s lights please click here. 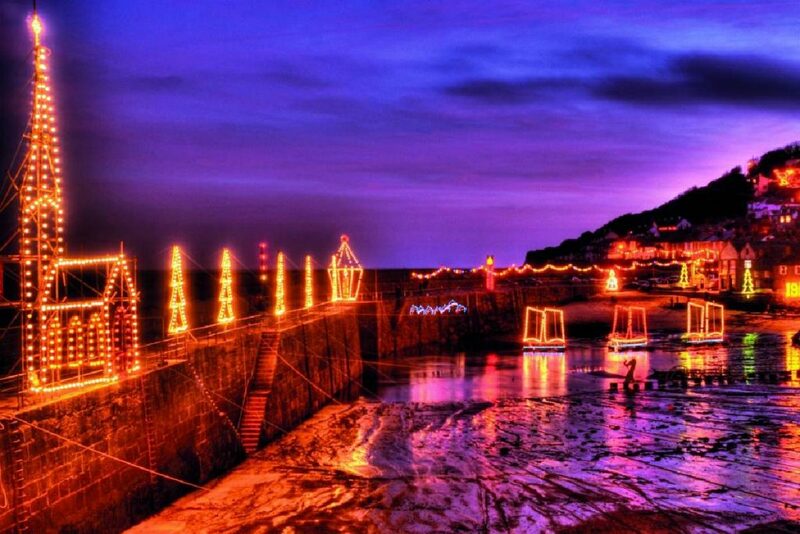 The Christmas lights at Mousehole were started by an artist called Joan Gillchrest in 1963. The first year there were just a string of coloured bulbs along both quays to make the village a little brighter in December. As time went on various people started donating items to the display and the event grew every year. It has not all been plain sailing however! Due to the weather, the display can take a battering with the high winds, rain and storms that occur in December. One particular occasion was on the 15th December 1989 (the night before the lights were due to be switched on) was when a bad storm hit the West Cornish coast and damaged a lot of the display that was already in place in the harbour. By the switch on, the waves were still hitting the harbour hard so the switch on took place on Fore Street that year, but by the next afternoon, in true Cornish spirit, the display was back up and running. Run solely by volunteers the lights committee works tirelessly throughout the year to keep the event happening. There are various charity events to help fund the work including the sale of Christmas cards. 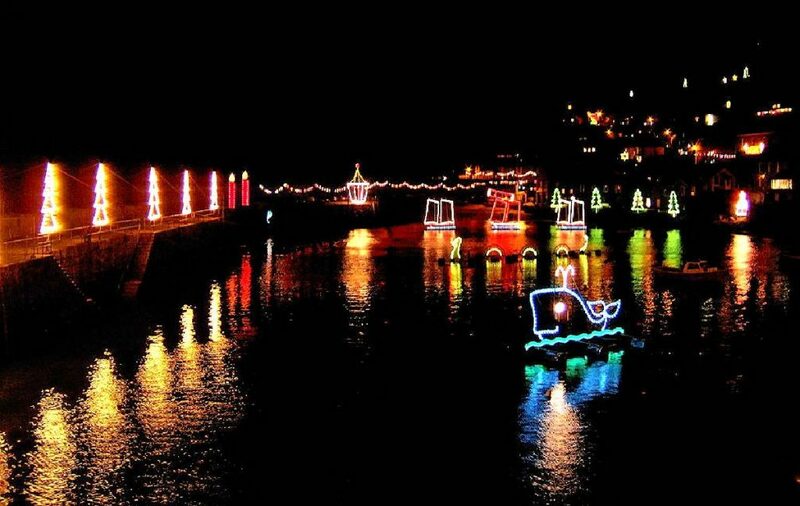 The lights are a tradition in Mousehole and attract thousands of people every year. The village gets behind the event, the shops are open later than usual, the local male voice choir sing Christmas carols and there are food stalls and mulled wine on offer too. The parking is limited, so please be prepared for a short walk to the lights themselves. There are various places just outside Mousehole to park, please find more information about your visit here.